Autumn sunrise on Burdoin Mountain. Easier to get up for fall & winter sunrise! Pears ripen during autumn in the Columbia River Gorge and attract all sorts of critters, including a Downy Woodpecker. Woodpeckers seem to come out in the open like this pair of Northern Flickers in the Soda Springs area. Maybe we can see them easier with less foliage. An Acorn Woodpecker sits on a snag in the Klickitat Wildlife area. I also spotted a Coyote while in the Klickitat Wildlife area! I love being on the Klickitat River this time of year. We headed to the Bend area where my husband’s buddy from high school showed us where they fished together on the Crooked River. While in that the Bend area I found a River Otter lunching on the Deschutes River. And a sweet little Ruby-crowned Kinglet munching on flies in a spider web at Cline Falls State Park. A trio of cygnets (one thinks he is hiding underwater) at Sun River Nature Center. Sadly their father, Chuck was illegally shot and killed not long after my visit. There is a substantial reward, if you have any info contact the Oregon State Police. Ridgefield NWR is one of my favorite stops, and you can usually find a Great Blue Heron at the first pond (and around every corner). Mt. Adams reflecting in a pond at Conboy Lake NWR, my ‘backyard refuge’. Lucky me, while at Conboy Lake NWR I caught a rainbow over the little town of Glenwood! ….and Curly Creek Falls among them. That night we had an Aurora prediction, so yep, I stayed up for this ‘Tiny Aurora Borealis’ behind Mt. Adams. Speaking of tiny, I found a little Golden-crowned Kinglet in my backyard. Another friend (& fellow photographer) & I went hiking along the Lewis River to Upper Lewis River Falls. I can’t believe in November I still had Hummingbirds dipping into my feeders! Thanks to a friend’s invitation, we headed back to Bend to watch the mule deer Rut. I have way too many photos to share, so this favorite one will have to suffice. My raptor surveys started back up for East Cascades Audubon Winter Raptor Survey. I truly love participating. 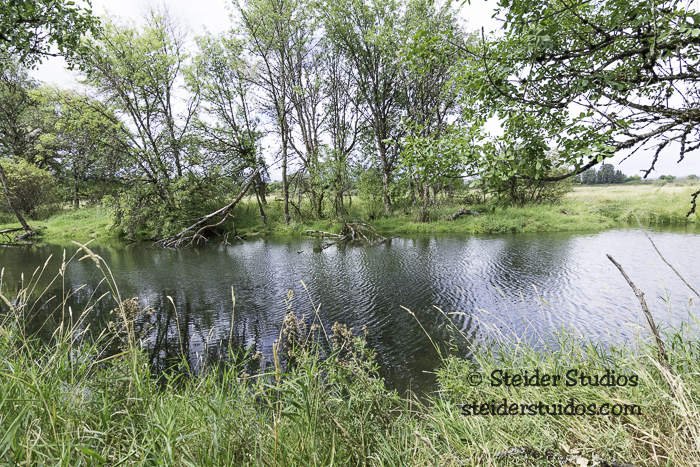 Our Tundra Swans return to Bingen Pond…. As do the American Wigeon…. Bald Eagles begin migrating to the Columbia River Gorge each year around Thanksgiving. Steller’s Jays take over my feeders. Chickadees, Juncos and Nuthatches have to elbow their way in. A chipmunk visits my garden for the first time this fall! At least the first that showed himself to me in over 30 years! The next day he found a feeder! Isn’t he CUTE??? I was lucky to catch a Bald Eagle flying fast over the Little White Salmon River. A friend intrigued me with a rare bird, so I had to go check it out! Yellow-bellied Sapsucker at Commonwealth Lake near Portland. While there, a Sharp-shinned Hawk landed in a nearby tree with lunch! My last hike of the season, Falls Creek Falls. It’s now closed until April 1st. Our Bald Eagle population continues to increase in the Columbia River Gorge. Trio of juveniles fighting over food. 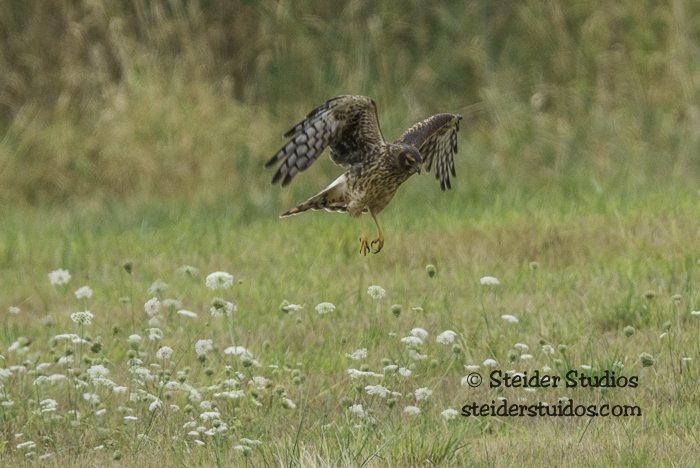 During a visit to Ridgefield NWR, I found a juvenile Red-tailed Hawk looking down at me…. …and a Red-shouldered Hawk calling….yes, he MUST have called me over to him!! Back at Conboy Lake NWR I caught a Northern Shrike hovering. At first I thought he was a Kestrel because I hadn’t seen a shrike hover like this before. While there I also found a White-breasted Nuthatch, another favorite. I’ll leave you with this Columbia River Gorge sunset from the Spring Creek Fish Hatchery entrance. If not tomorrow, then soon … I’ll fill you in on my wonderful Winter. Pouring rain outside, I thought I’d take a little time travel break ~ back to a beautiful September day at Ridgefield National Wildlife Refuge. 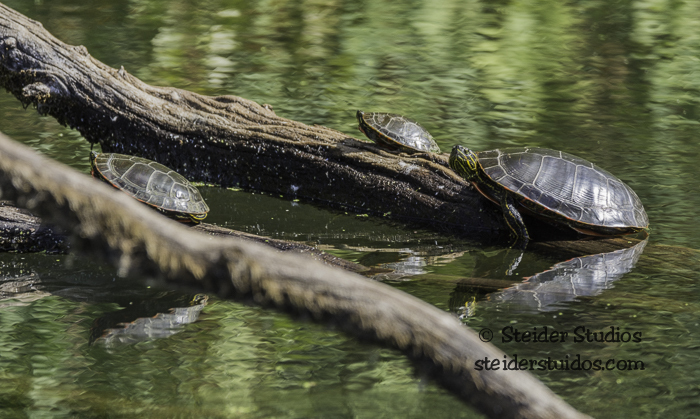 It was a day filled with turtles! 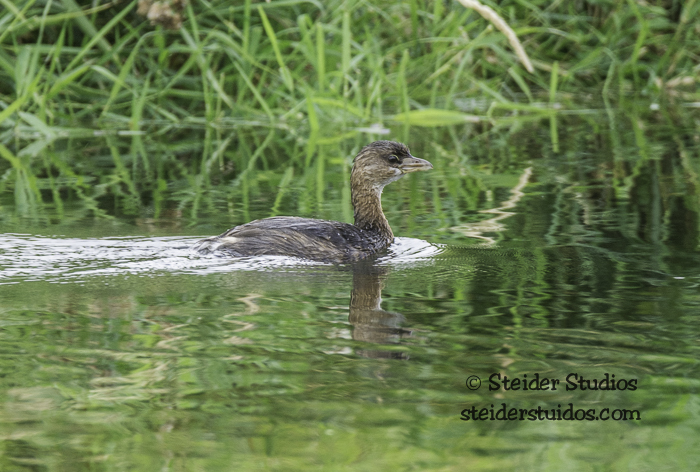 I remember watching a Pie-billed Grebe and several ducks in the creek. I only saw one Wood Duck pair. It was a quiet day with very few sightings and even fewer people. 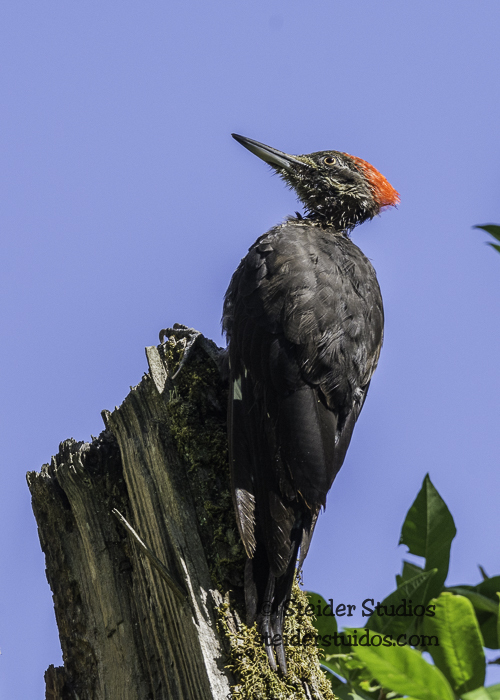 I watched a Pileated Woodpecker for a bit. Is he a juvenile? His feathers are a bit spiky around his neck making me wonder if he had been in the creek. 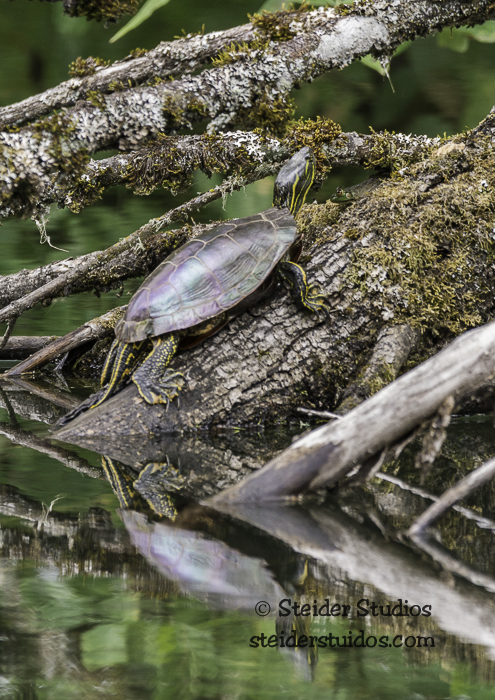 Back to turtles….this poor fella spent about 15 minutes climbing up to share a log. Unfortunately his friend wanted nothing to do with him and shoved him off! I ate my lunch in the shade while watching a Kingfisher fly back and forth across the creek. I desperately wanted him to land on the snag in front of me. If he had, that’s what you’d be looking at now. I slowly finished the route, watching more herons, egrets and Northern Harriers. 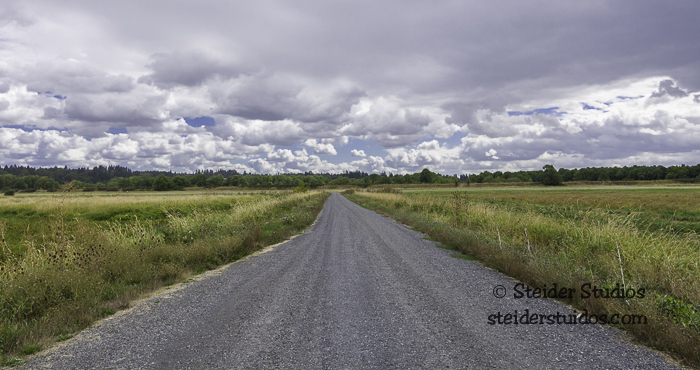 It was a gorgeous day of sun, rain, clouds and end of summer fun at Ridgefield National Wildlife Refuge. *In case you didn’t know, you can purchase many of my images as prints on paper, metal, canvas or as all occasion greeting cards. I have many listed in my on-line store but you can also send me a message to order. I went to Portland yesterday to buy myself a new lens for my BIRTHDAY. Yes, I buy myself birthday gifts…often and not necessarily on the actual day. Usually I gift myself a little something every day in September. While in the city, I took a side trip up to Ridgefield National Wildlife Refuge. It was a quiet day with very few sightings and even fewer people. 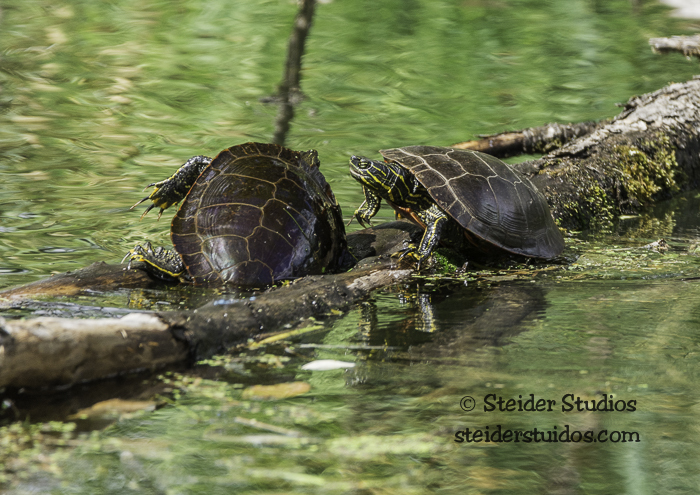 It was, however a day filled with turtles! And in this image a frog ~ can you see it? I found a couple of ducks and a grebe enjoying a swim. OH! My new lens. I bought a wide angle to get better pictures of the Aurora Borealis. You can read about my first adventure with Northern lights here. It’ll be handy for landscapes too, but mostly I was thinking about colorful night skies. 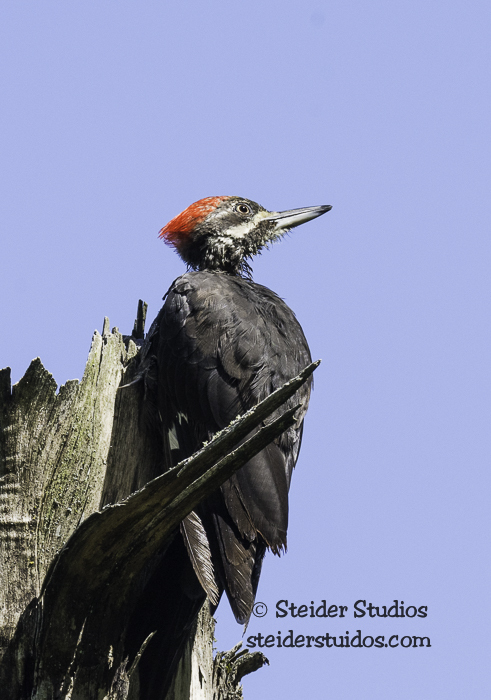 I almost missed this Pileated Woodpecker as I slowly drove through the refuge. I heard him drilling in a section of densely shaded trees. Lucky me, he made his way to the top of a snag near my car! Is he a juvenile? His feathers are sort of spiky around his neck making me wonder if he had been in the creek. 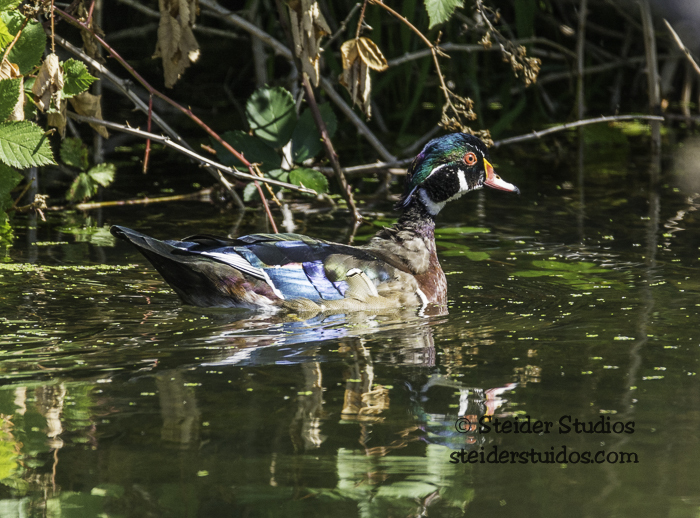 I only saw one pair of Wood Ducks. 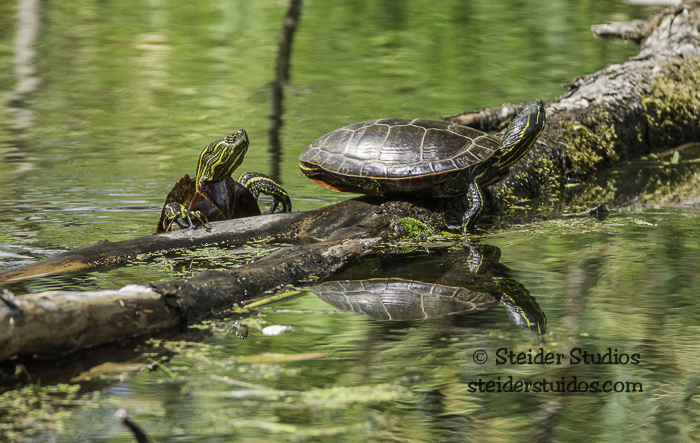 Back to turtles….this poor guy spent about 15 minutes climbing up to share a log. Unfortunately his friend wanted nothing to do with him & shoved him off!! I had a lovely lunch in the shade at this bend in the creek. As I ate my sunflower seed honey butter sandwich, I desperately wanted the Kingfisher flying back and forth to land on the snag in front of me. If he had, this is where his photo would go. I slowly finished the route, watching more herons, egrets, and Northern Harriers. 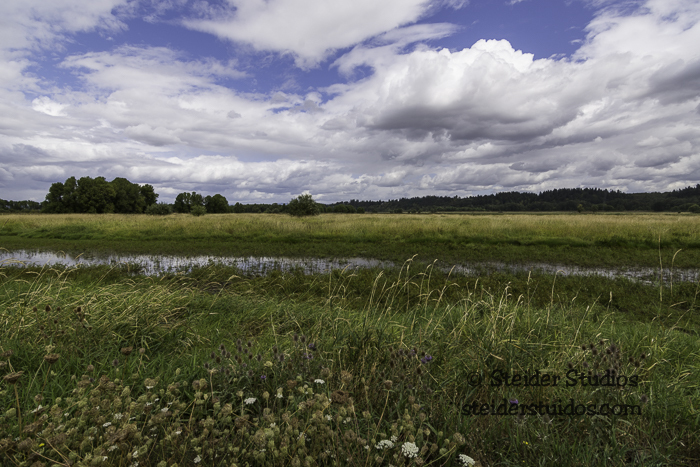 Another gorgeous day of sun, rain, clouds and end of summer fun at Ridgefield NWR.